For Bollywood star Salman Khan, the conviction in the 20-year-old poaching case, has brought to fore the complexities of a strange relationship - rising above the inherent flaws of a human being to being human. The Bollywood star was convicted for five years under Section 51 of the Wildlife (Protection) Act for killing two endangered animals near Kankani village in Jodhpur in 1998 while shooting for his movie, Hum Saath Saath Hain. For a while charity had superseded the "bad boy of Bollywood" image for the jailed actor. He was cheered for his efforts behind the Being Human Foundation, which was registered in 2007 as a non-profit charitable trust, to provide healthcare and primary education to the economically weaker section. For the past decade, the foundation organised cataract surgeries, free eye camps and women healthcare camps across India. In 2013, Being Human partnered with Fortis Foundation and offered free treatment to children with congenital heart defects. The Little Hearts Programme was aimed at helping children below the poverty line. Till July 2015, 849 surgeries were funded through the Little Hearts Programme. The foundation has put in place a revenue-sharing model with a private company to fund its programmes. 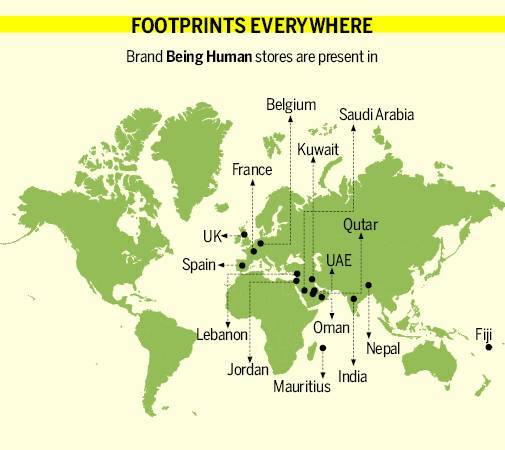 It gets a 5.75 per cent share from the sale of tees, women's wear, kids' wear, jewellery, flip flops and electric bikes, which sell under the Being Human brand. The foundation has partnered with non-profit Akshara High School, NGO Aseem and the Maharashtra Prabodhan Seva Mandal to provide free education to 500 children directly, and 4,000 indirectly. It also funds career development centres along with NIIT and Coca-Cola, besides financing educational resource centres across Zilla Parishads in Maharashtra. It has also provided a platform to skill 2,700 differently-abled persons and make them job-ready under the Project Veer. The Being Human stores have a policy to employ at least one differently-abled person. In 2009, the foundation floated its clothing at HDIL Couture Week 2009, which was supported by a host of Bollywood stars. Khan launched the brand through a tie-up with Cotton & Linen Clothing major Cottonworld. The T-shirts were sold at offline stores and on BookMyShow website. The watches were sold on beinghumanwatches.com. Talking about his entry into the apparel sector, Khan had said: "Clothes, watches, paintings... whatever talent I have, whatever sells, we will sell it. All the money from that will go into the charitable foundation." In an interview to Forbes India about the Being Human T-shirt brand, the Tiger Zinda Hain star said: "We couldn't keep asking people for donations. So we have set up this clothing line. We'll sell T-shirts as we are good at it." The venture as well as the products were, however, discontinued later. Subsequently, the actor roped in Mandhana Retail Ventures Limited (MRVL) in 2011, to design, manufacture, retail, market and globally distribute all Being Human retail merchandise until 2028. Mandhana also produces apparel for Aditya Birla Nuvo (of Louis Phillipe, Peter England and Allen Solly fame), Pantaloon Retail and ITC (manufacturer of Wills LifeStyle). Their overseas customers include Tommy Hilfiger, All Saints, Simint, Colins, and Pepe Jeans. As of December 2017, the brand has presence across 15 countries with over 600 points of sale. Besides, it has set up exclusive stores in 45 cities across the country and sells its merchandise through shop-in-shops, distributor networks and online portals, such as Myntra. Mandhana has also helped the brand foray into Tier 2 and Tier 3 cities, company sources quoted by The Economic Times said. The brand is also very famous in West Asia and France and is being sold from 256 points. It has signed an exclusive deal with The Landmark Group for its West Asia business. In 2016-17, MRVL had posted sales of Rs 216 crore and its net profit was at Rs 20.02 crore, according to its balance sheet. But, will the conviction in the blackbuck poaching case waterdown all the hard work that he has put in over the past 10 years behind brand Being Human. Unlikely, say industry observers, especially if he can secure a bail on Saturday. However, if he spends more time behind the bars, it could perhaps dent the company's fortune, but only in the short-term. 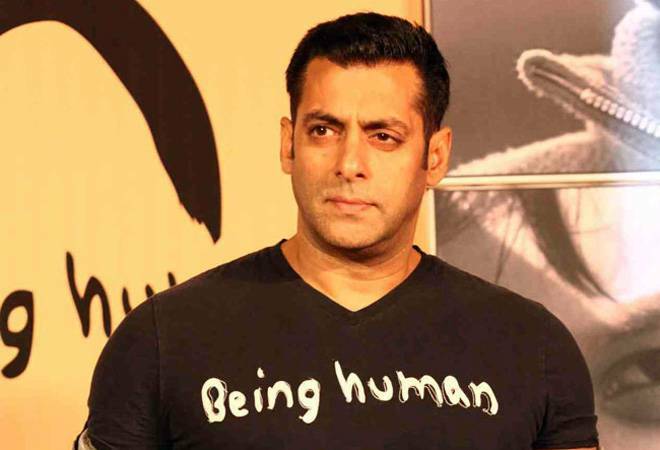 Salman Khan convicted: Can 'Brand Salman' survive the jail term?